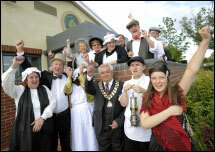 In a small ceremony to mark the occasion The Mayor of Thorne Cllr. 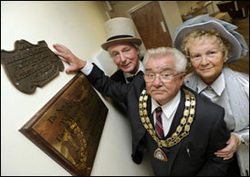 Bert-Maurice Chowings re-dedicated the original bronze plaque which is now mounted in the building. Representatives of Thorne History Society were present at the ceremony which was hosted by the Thorne Family Support Group who use the New Coulman Pavilion as their base.